So I had a few people write and ask, “Aren’t you doing Hot Dog Day?” Well, of course I am, but you see I gave these ideas up to my daughter. I wanted her to come up with an idea of her favorite hotdog and then I would implement it. She chose a “Cuban” and a “Breakfast Dog”. Yum! I was off collecting the main ingredients and then I ran across the most amazing thing. I was in Walmart, and there they were with a shining light on them. Pretzel buns! 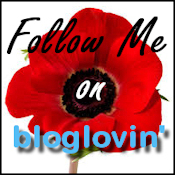 I had to use these and they were a huge hit! So let’s make these hot dogs already and see which one looks best to you!! For us, it was a tie right down the middle. 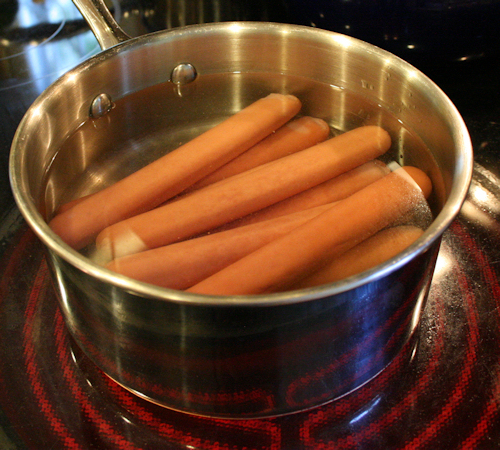 Hotdogs for however many you need 1 per bun. 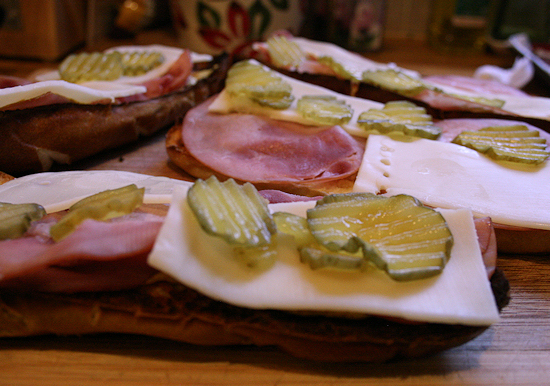 1 slice of ham, or 2 slices of small peices. First take each bun and slice them lengthwise. 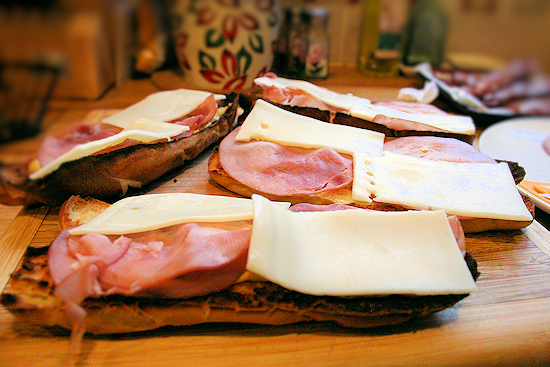 Coat each open face with a little butter. Lay the bun’s face open on a baking sheet and broil on low to get a nice brown color on them. Take out and set aside. Most of the people in the house prefer boiled over grilled hot dogs so I boiled mine tonight but if you would rather grill them, feel free. Either way you want to get those going next. 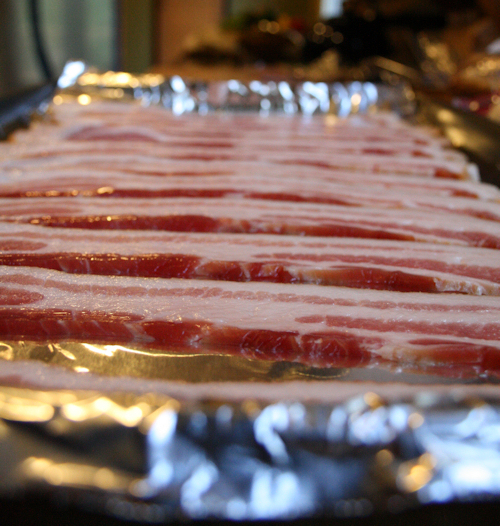 If you have premade bacon, go ahead and get that out if not set your strips on a cookie sheet lined with tin foil and place in the oven cold. 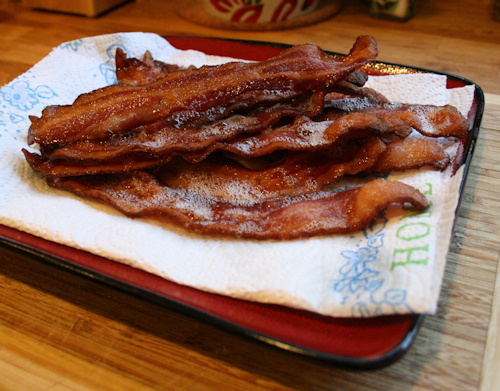 Set the oven at 450 and you should have nice crisp bacon in about 10-15 minutes. 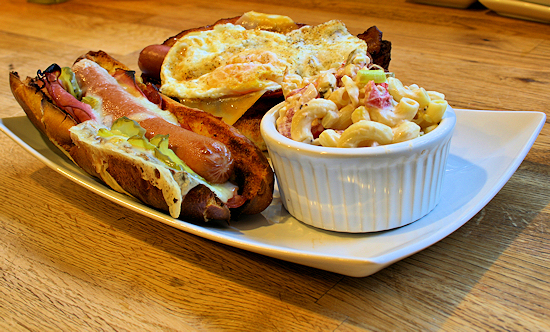 This is for the breakfast dog. If you are not doing this one, skip this part. 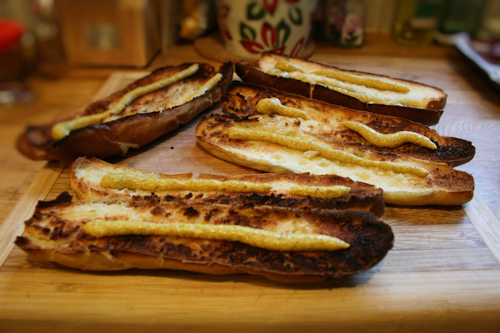 I did the Cuban hot dogs first. 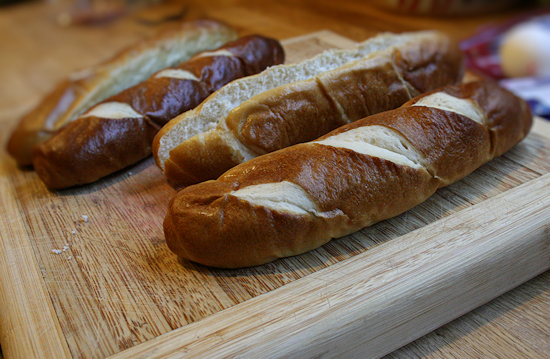 Lay out the pretzel buns that came out of the oven. 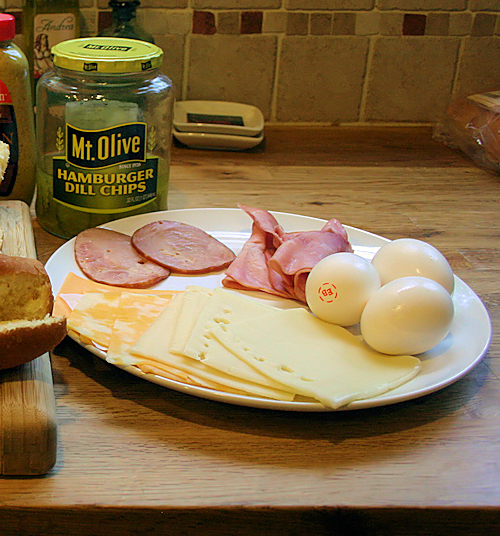 Set all of your ingredients on a plate so that you can easily build each one as you go. First the spicy brown mustard. 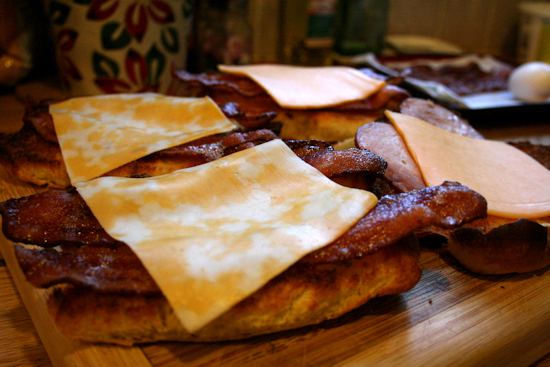 Then the ham on one side, Swiss cheese on the other. Then those yummy pickles. I could eat a jar of pickles by myself. I just love them. 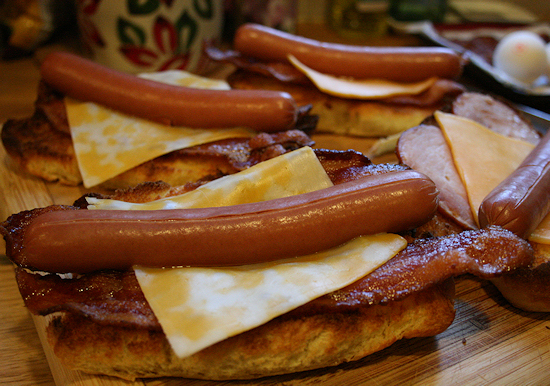 When you lay your hot dog in the center, gently press it all together and place on a baking sheet tightly against one another. Put into a 200 degree oven and let that cheese melt. 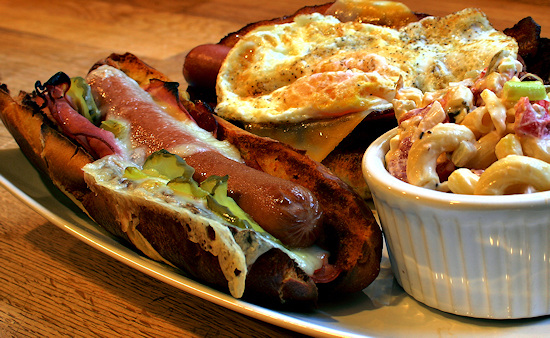 The result is mouthwatering, just like your favorite deli sandwich. 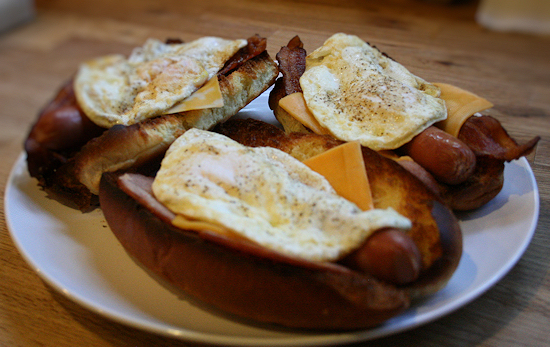 For the Breakfast Dog you will set your buns out in the same manner. 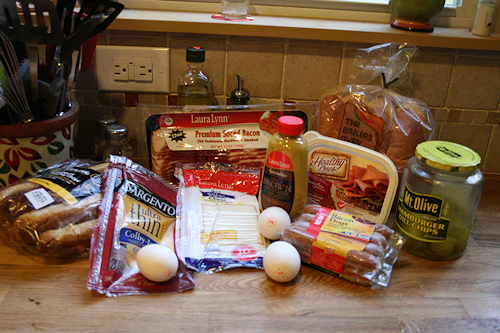 On each side of the bun, lay a piece of bacon. Now for the incredible, edible egg! Sorry had to. 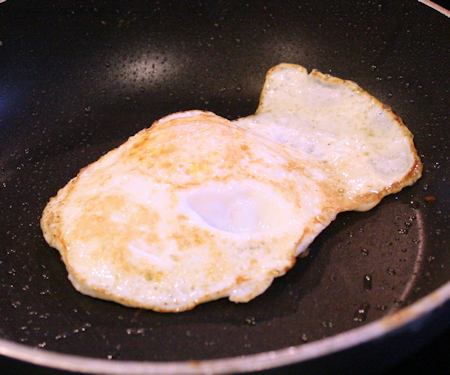 Get your egg pan hot and add a pat of butter to melt and break your egg into the pan. This egg will be over easy. Give it about 2 minutes on side one then flip and cook for one more minute. 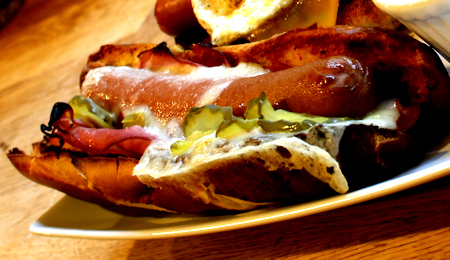 Slide your hotdog right into the bun on the cheese. 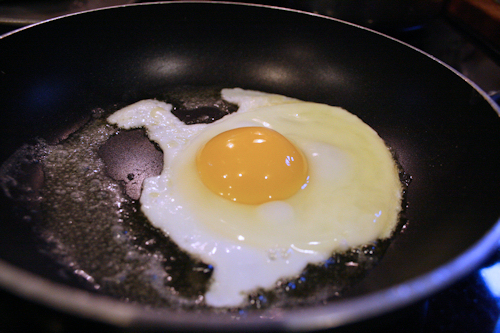 and flip your perfect fried egg right on top! Breakfast is served. My step-father from England especially loved this one. 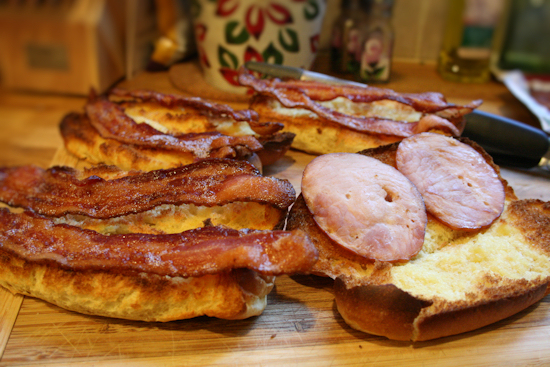 For his, I used the Canadian bacon you saw at the top on one lil lonely bun. I preferred the Cuban. There was something about the richness of the mustard and the pickles and that BUN!! We all tried some of each so we could see who loved what. It was not only fun to create but fun to see just which person’s taste buds preferred what. Try it! Make them yourself, I’d love to know what your favorite is! Hope you enjoyed your National Hotdog Day! !